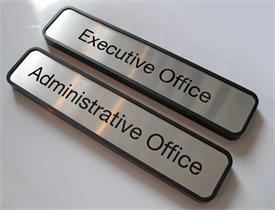 9"W x 6"H interior office desk message sign - Black L-stand with customized, brush metal message nameplate. 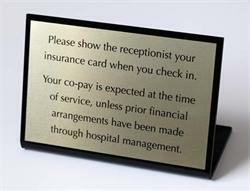 Customize these signs any way you like, at no extra charge. 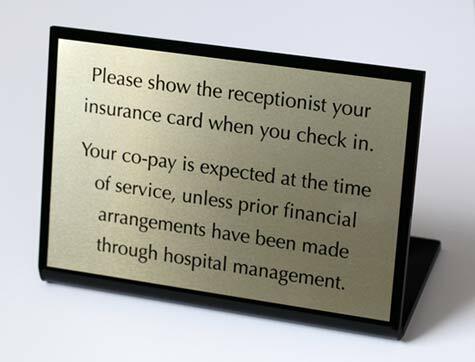 Custom text, logos & layout - order up to 5 signs at a time with your employee names, insurance messages, copay message, check-in message etc. 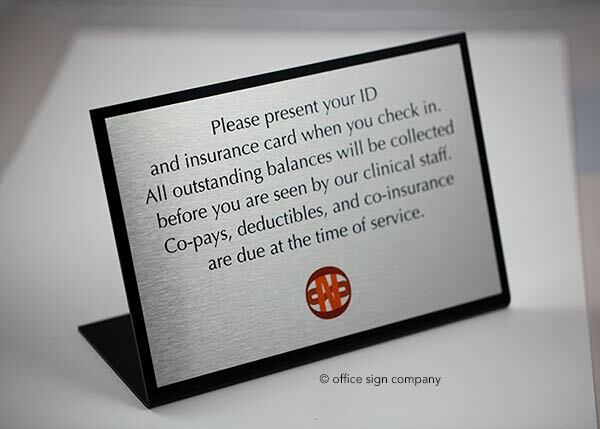 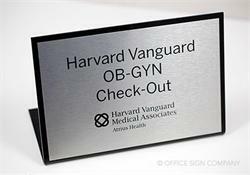 Custom Standing office signs & desk signs with your custom sign text. 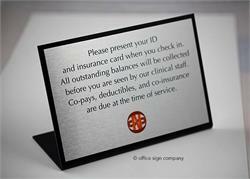 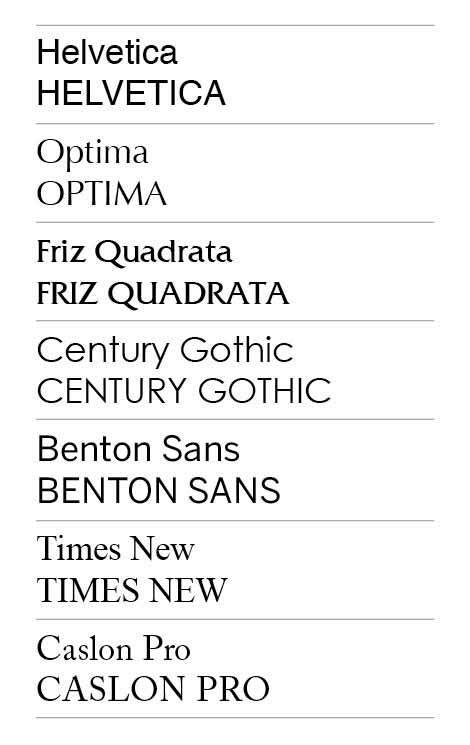 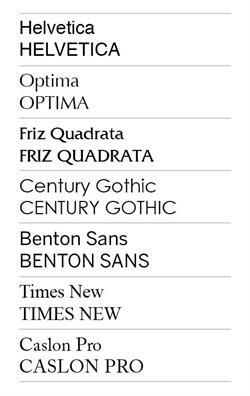 Custom sign sizes on request.